The flick features Hrithik as Sarman, who is an Indigo farmer. He always has an urge to go to a particular place known as Mohenjo-Daro as he feels a connection. Though his character is a common man, he falls in love with Chaani (Pooja Hegde) who appears to be a princess or something like that. Pooja and Hrithik also shares a kiss in the film. It also stars Arunoday Singh and Kabir Bedi along with Suhasini Mulay and Manish Choudhary. 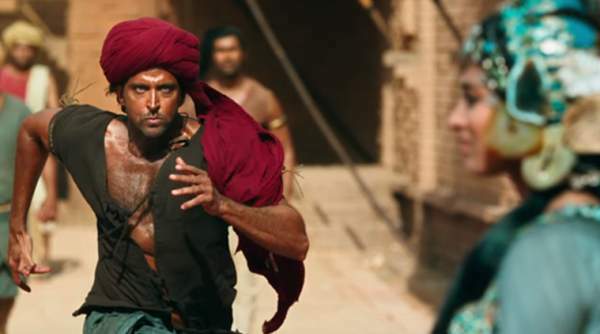 Hrithik performs some intense action scenes in the movie. The director has been a part of epic films like Lagaan and Jodhaa Akbar. This upcoming talkie is produced by Sunita Gowariker and Disney’s Siddharth Roy Kapur. Below is the Mohenjo Daro trailer clip which you should watch and have a look at the Indus Valley civilization. The historical drama is all set to release on August 12 on the occasion of Independence day 2016. Stay tuned to The Reporter Times for latest Bollywood news and other Entertainment updates across the globe.